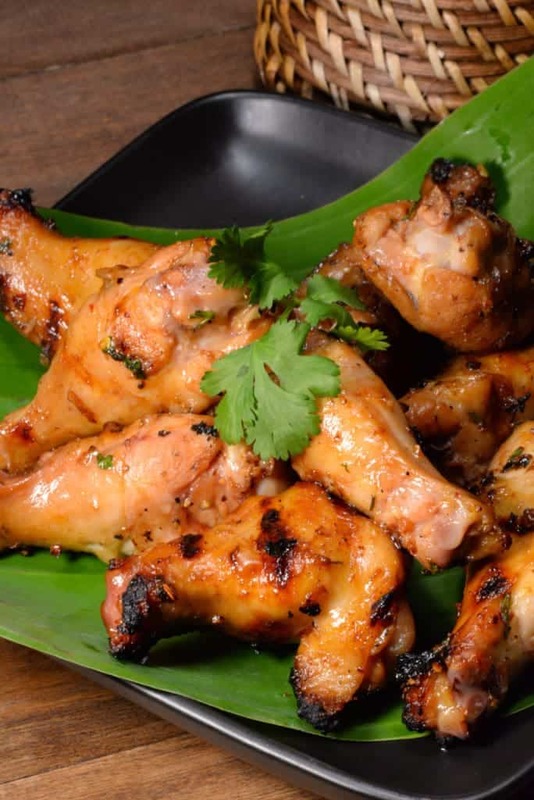 Laotian grilled chicken called ping gai is a lovely recipe to represent the flavors of Lao. It doesn’t take long at all to whip up the marinade. You should let it develop the flavors with the chicken for a minimum of two hours, but overnight is best if you have the time. Of course serve it along side some sticky rice, and a green papaya salad, for a delicious meal. Enjoy! 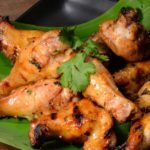 A finger licking good grilled chicken recipe that exudes the flavors of Laos. Pour everything into a ziploc or air tight container and refrigerate for a minimum or two hours or overnight. Heat your grill to medium high heat and grill until the chicken is tender and cooked through. Serve with a little cilantro to garnish and of course some sticky rice.